Have you cast off the shackles of employment and gone out into the big wild world of self-employment? Freelancing is a business option that is rising in popularity. While some are forced into it due to a poor job market, plenty of others are making a conscious decision to go freelance. It’s a relatively easy type of business to set up, maintain and fund, so we can see why. This time of year is really popular for people to become new business owners, so we wanted to give newbie freelancers a helping hand. No doubt you have some questions about how to get started and set up. Luckily, if you set up as a sole trader, you’ll have an easier ride than if you were to set up a limited company. If you’ve never had any experience with these things before, don’t panic! This blog post will hopefully clear a few things up for you. Let’s start with the main one. 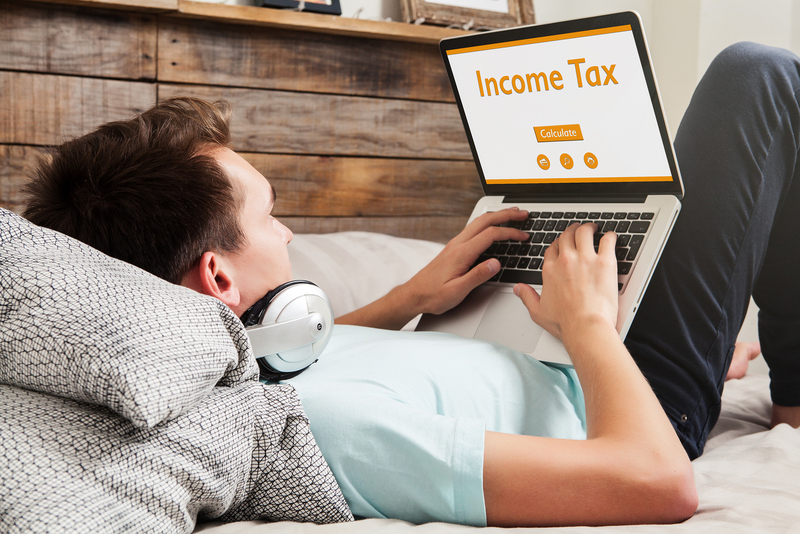 Income tax is the same kind of tax you pay as an employee through PAYE, but if you become self-employed, you’ll have to do it differently. It won’t directly come out of your earnings, you’ll have to work it out and do it all yourself. The percentages are the same as with employment. So, it’s 20% for earnings between £11,850 and £46,350. Between £46,351 to £150,000 is 40% and over that, it’s 45%. However, please note that these figures are due to change in April 2019 – so always check for up to date figures! This is slightly different when you go self-employed. As an employee, you will be used to paying Class 1 NI. However, now it’ll be Class 2 and possibly Class 4. Class 2 is for all profits over £6,205 a year and is set at a flat rate of £2.95 a week. Class 4 is for profits over £8,424 and under £46,350. This is set at 9% of profits. For earnings over this, it’s 2%. National Insurance is something that will need to be put on your Self Assessment tax return, along with all details of your income, for Income Tax purposes too. Now for the good news. You can reduce your profit figures – but this is a good thing! If you’re paying a percentage of your profits in tax, naturally having a lower profit figure will equal less tax to pay. A lot of people get a bit apprehensive about this bit but don’t worry. We’re not talking about dodgy tax dealings, this is just a legitimate way to ensure you’re not paying more tax than you need to. Every business does it, and HMRC expects you to claim for expenses. Basically, anything you earn that you spend back on the business is not profit. It’s an expense and should therefore be deducted from your profits. So, it’s really important you keep track of all business expenses and keep receipts and invoices, should HMRC ever ask for them. Just make sure what you’re claiming for is solely for the purpose of doing business. Anything that doesn’t look right could spark a HMRC investigation. This is how you record all your income and expenses for HMRC. You will need to submit a Self Assessment tax return by January 31st each year and also pay what you owe by then. Please don’t wait until the deadline to get everything done though! First of all, you’ll need to register for Self Assessment. This needs to be done by October 5th in your business’ second tax year. It can easily be done online on the government’s website. In order to keep track of all your incomings and outgoings, you’ll need to put a bookkeeping system in place. A lot of people still swear by spreadsheets, but we’d definitely recommend trying out some bookkeeping software instead. Modern bookkeeping software will automate a lot of processes for you, which saves time and reduces errors. Having cloud-based bookkeeping is also handy if you’re on the move a lot because you can access things remotely. Overall, things are easier than they sound. The most important thing is to get organised and read up on what you need to do. Make sure you keep good records and do everything above board, and you’ll keep on HMRC’s good side. Do you have any questions about the information above? Are you looking for an accountant who can handle it all for you? Get a free quote for low-cost accountancy services.